Have you ever opened a prized bottle only to realize it might have peaked several years ago? Or poured half an unfinished bottle down the drain because you weren’t able to drink it before it oxidized? The Coravin is just the tool to ensure you’ll never again encounter any of these problems. 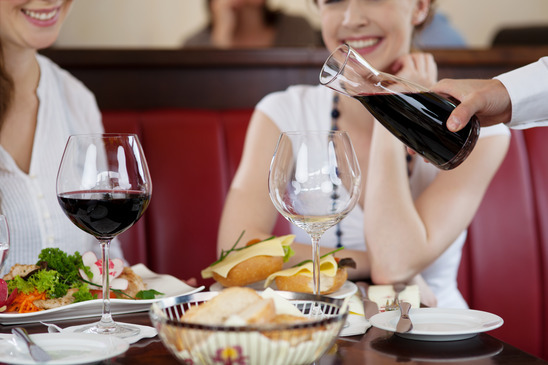 From vacuum pumps to inert gas sprays, a variety of products keep wine fresh once opened. Yet none of these preservation methods have been so groundbreaking as The Coravin Wine Access System. This handy tool is the first of its kind and was designed especially with wine collectors in mind. Part wine opener, part wine preserver, The Coravin allows you to extract a small amount of wine from any bottle without popping the cork — or even removing the foil. Sound too good to be true? Here’s an overview of how this product works, as well as its pros and cons, so you can decide whether its a must-own accessory for your home cellar. 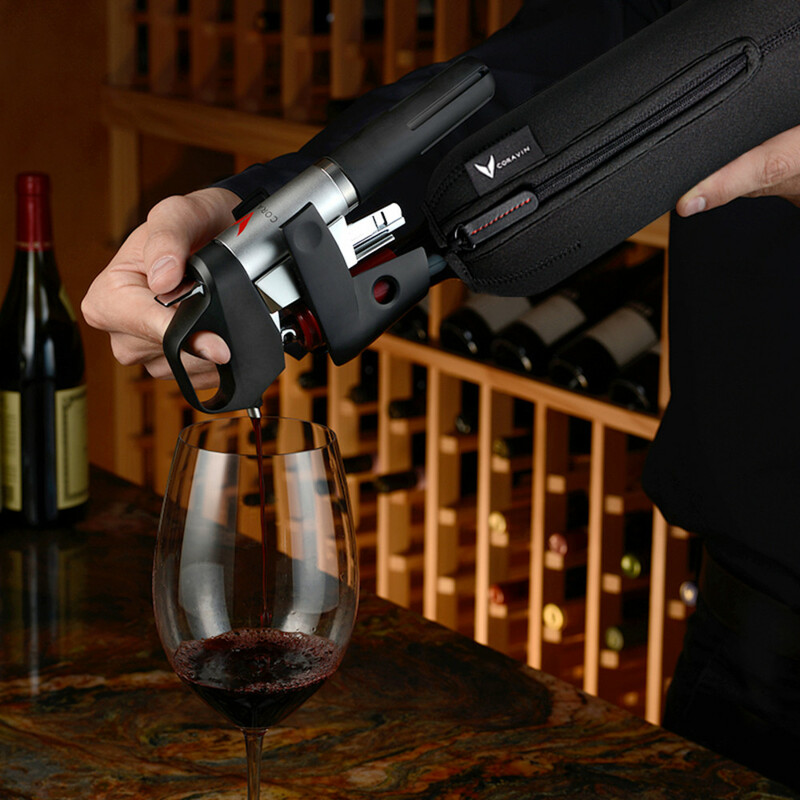 The Coravin inserts a non-coring medical-grade needle through the cork of a bottle of wine. It can easily pierce the foil as well. As wine is drawn up into the needle, it is replaced in the bottle with an inert argon gas, which prevents oxidation of the remaining wine. You can draw as much or little wine as you’d like — just a few sips or an entire glass. After the needle is removed, the cork reseals. Replacing oxygen in a bottle with gas is not a new concept to prevent wine from oxidizing. This is how wine dispensers like the WineKeeper keep wine fresh. But this is the first device that truly reseals the bottle so you can return it to your cellar to be enjoyed at a later date. Wondering what inspired this innovative method for enjoying wine by the glass at home? The Coravin Wine Access System was created by Greg Lambrecht, who has a background in physics, mechanical engineering, nuclear power and medical devices. When his wife was pregnant, Lambrecht couldn’t find a great way to enjoy a glass or two of wine rather than an entire bottle. Lambrecht’s goal — creating a method to pour wine without ever pulling the cork — has been a work in progress since 1998. He succeeded with his first prototype and successful pour in 2003, but it took several more years to fine-tune the design, secure patents, select the right gas and test the device. The current model of the Coravin launched in July 2013. Later that year, it made Popular Science Magazine’s “The Best of What’s New 2013” list, alongside innovative products like a personal weather station, a Wi-Fi controlled light bulb and a lawn trimmer with two power sources. Now thanks to the Coravin, you can access prized bottles in your collection without the pressure to finish each immediately. Taste the evolution of a specific bottle for years, drawing out only a small glass at each tasting. 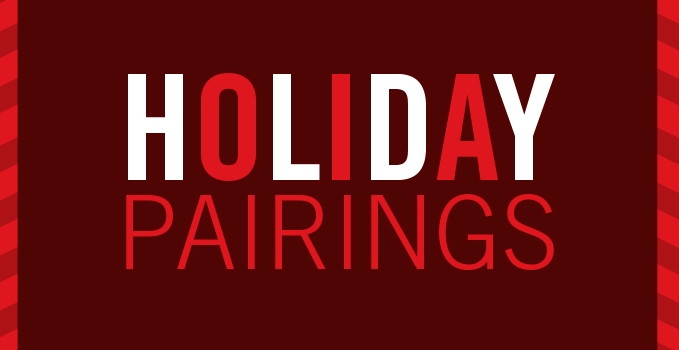 If you love to entertain, you now have the option of pairing a different wine with each course without wasting the remaining partial bottles. And for single-person households, owning the The Coravin means you no longer have to drink an entire bottle in a few sittings or pour out the remaining wine once it goes bad. Compared to its benefits, this tool’s downsides are few. While The Coravin is easy for almost anyone to use, inserting and extracting the needle does require a bit of upper body control and strength. It may not be suitable for less agile wine drinkers. If you have an extremely old bottle, be careful using the Coravin; you can only piece a cork several times before it will start to degrade, and it will destroy an old, brittle cork. Lastly, the tool will not work for synthetic corks or screw caps. 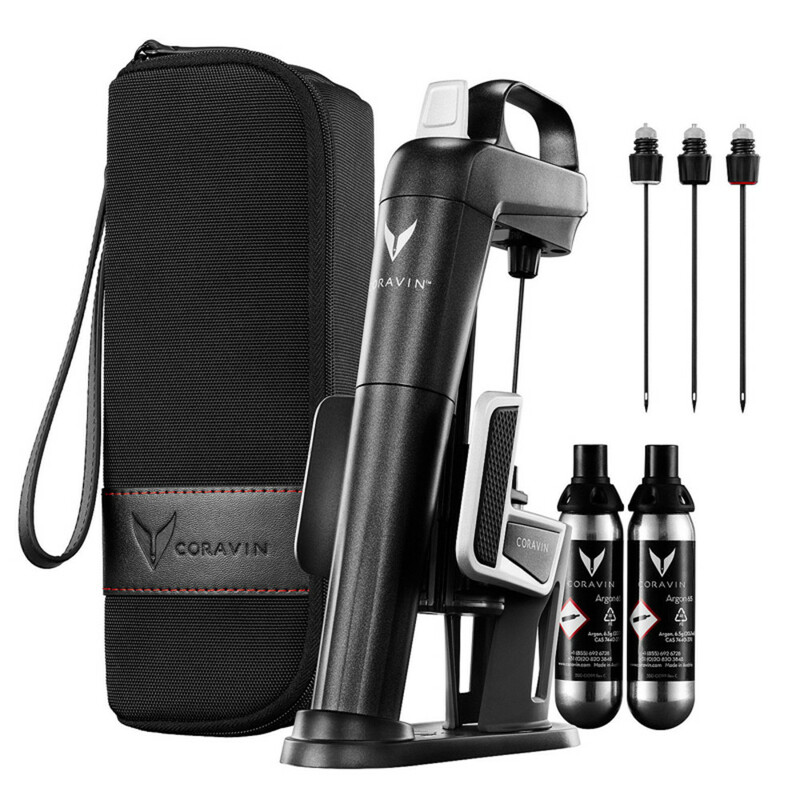 The Coravin also sports a heftier price tag than most other preservers and openers on the market. The necessity for replacement argon capsules over time means long-term costs. But since you can sample rare or prized wines glass by glass and can enjoy these bottles over a longer period of time, it’s worth investing in this tool. Whether you’re a serious collector, single-person household, wine lover who has everything (or if you’re simply shopping for one), The Coravin is a breakthrough tool and a worthy addition to your bar. Have you tried a glass poured from the Coravin? Were you able to tell the difference? About the author: Rebecca Cox is a Chicago-based actress, wine lover and wine shop-girl. Check out her blog Chicago Uncorked to follow her thoughts on wine tasting, enology, viticulture and wine in the Windy City.